FFA partner Agile Ticketing Solutions presents “Demystifying Memberships,” on Wednesday, June 20 from 1:00-2:00pm EST. The presentation was given before a sold-out crowd at the 2018 Film Festival Alliance/Art House Convergence conference and Agile is back to share it with our festival community. The webinar includes overall guidance for establishing Membership Programs: is it right for your organization, why they are important, when you should start one, who your members are and where to find them, and maintaining the program, followed by a a Q&A with the Agile team. FFA Members Receive Free Listing on CineLife! FFA is excited to announce another valuable opportunity through its partnership with Spotlight Cinema Networks! 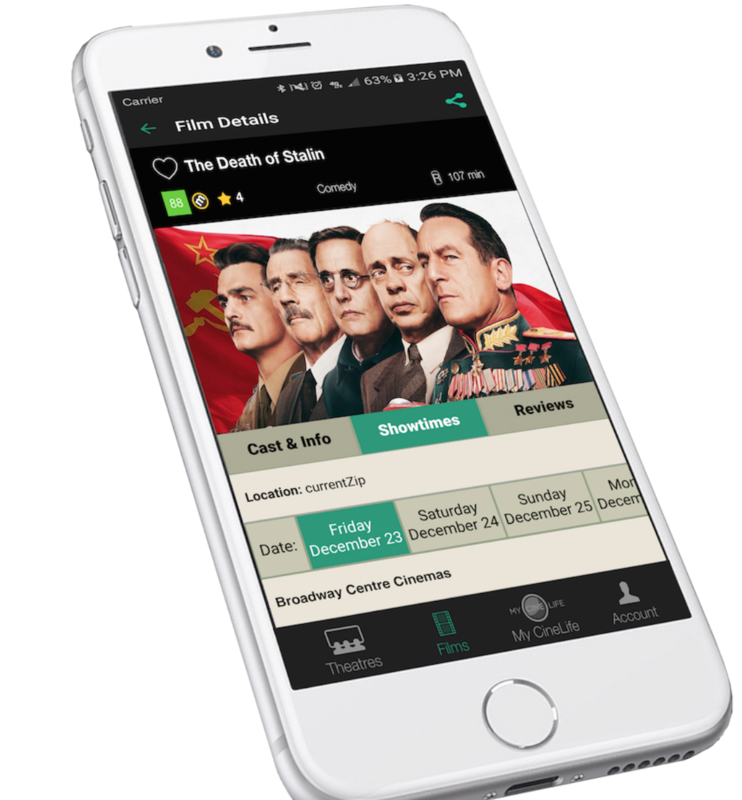 FFA members will receive a free premium listing on Spotlight’s mobile app: CineLife. CineLife, developed in conjunction with the Art House Convergence, is a mobile app that reaches dedicated independent film enthusiasts. Users discover film festival dates, Q&A’s, live arts and other special events in their community as well as independent films, showtimes, and movie news from across the nation. As a CineLife partner, FFA members will receive a custom-branded profile, with logo and custom color scheme, as well as integration of social media and other feeds. Your custom branded festival listing will appear with the theatre list in your area for about a month, increasing awareness and attendance. To get started, just fill out this form – it is that easy! FFA’s popular Spotlight Support Program, from sponsor Spotlight Cinema Networks is back! The Spotlight Support Program is a great way for Film Festival Alliance (FFA) members to generate self-earned revenue by leveraging unused/underused screen time during their events. This is a turnkey revenue generating opportunity offered exclusively to U.S. film festivals that are Film Festival Alliance organizational members. Learn more & apply here.